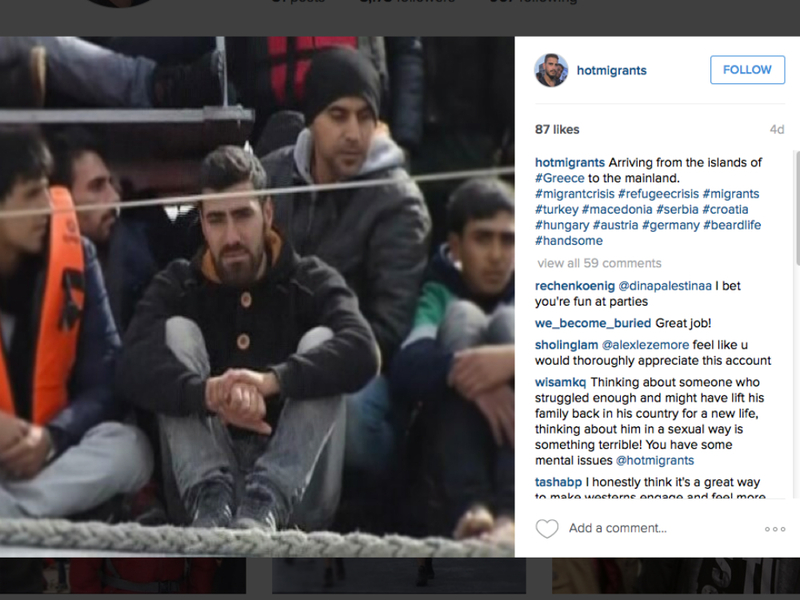 Is This The Most Inappropriate Refugee Instagram Account Yet? The short answer is yes. 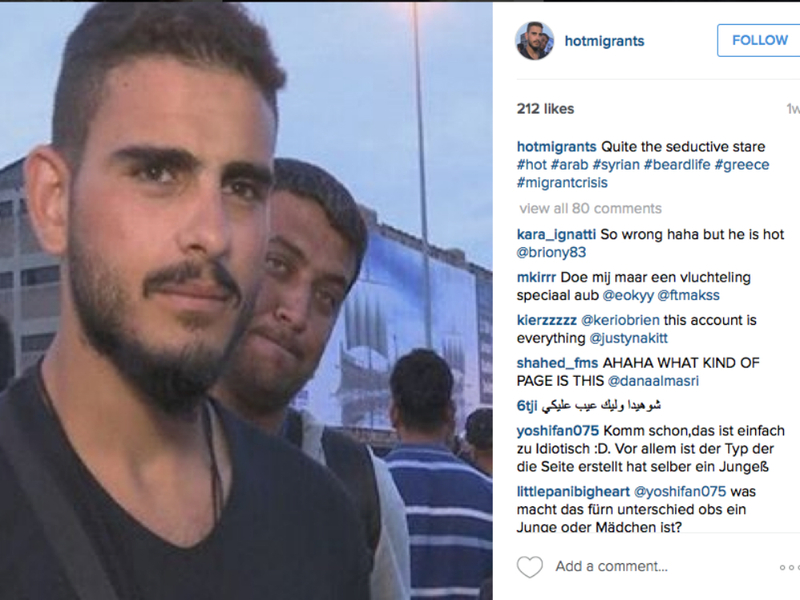 This IS the most inappropriate refugee Instagram account that we have yet to see, but don’t worry guys, ‘the site was not made with bad intentions’. Although we’re not sure if that actually makes it any better. 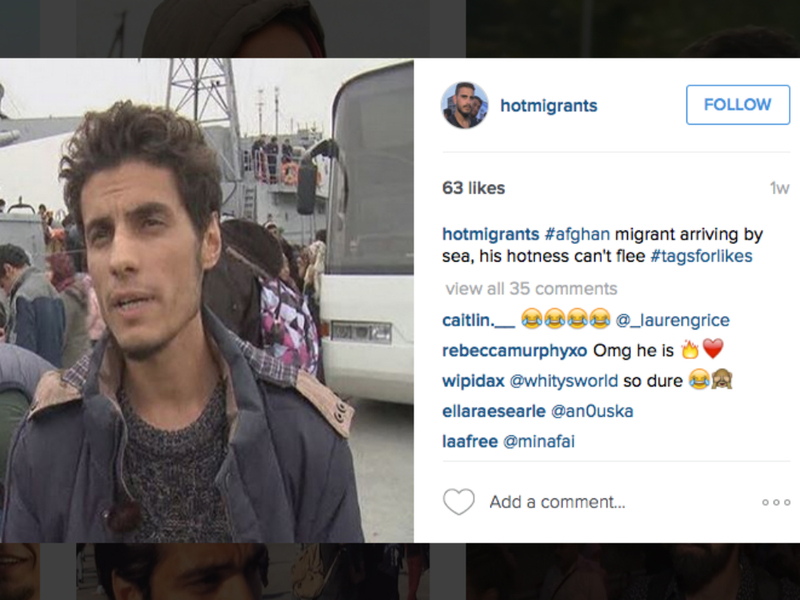 ‘Hot Migrants’ has received a huge backlash, with people accusing the account of fetishing and objectifying refugees, making a mockery of the desperate situation that these people are in. 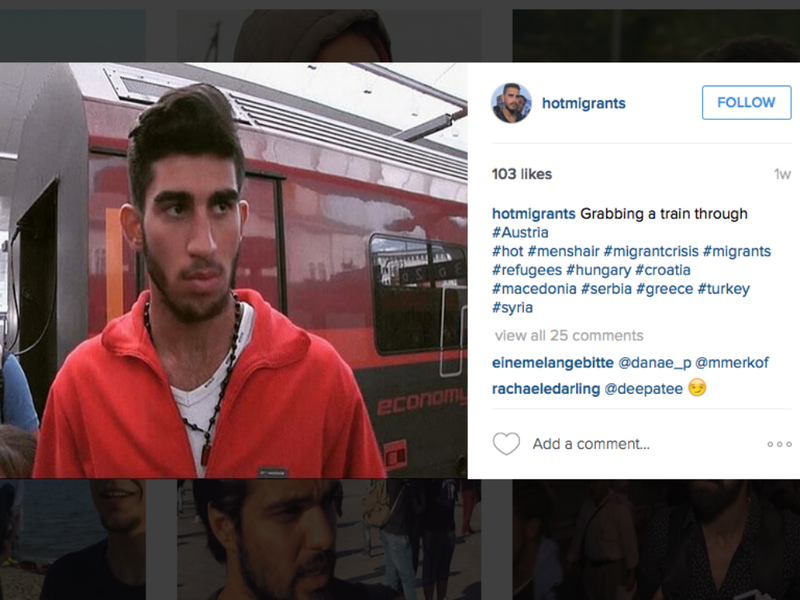 Don’t get us wrong, Instagram is an effective way of spreading awareness and poignant messages, but this account does nothing close to that, posting snaps of male migrants and teaming them with inappropriate captions. ‘Quite the seductive stare’ one photo reads, whilst another is entitled ‘Looking flawless in Lesbos’. An image of a struggling man is captioned ‘#afghan migrant arriving by sea, his hotness can’t flee’ and another: ‘Pretty in Pink, gotta stay fresh as you try to start a new life. 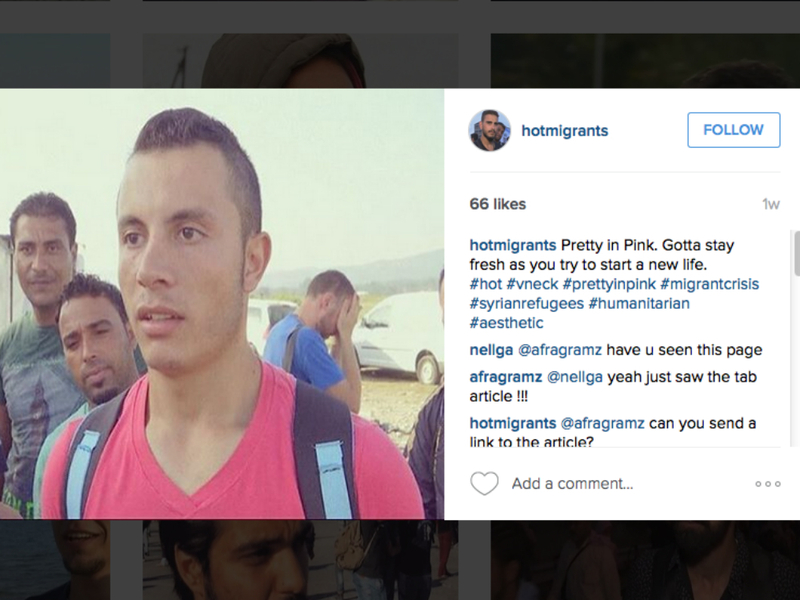 #hot #vneck #prettyinpink #migrantcrisis #syrianrefugees #humanitarian #aesthetic’. 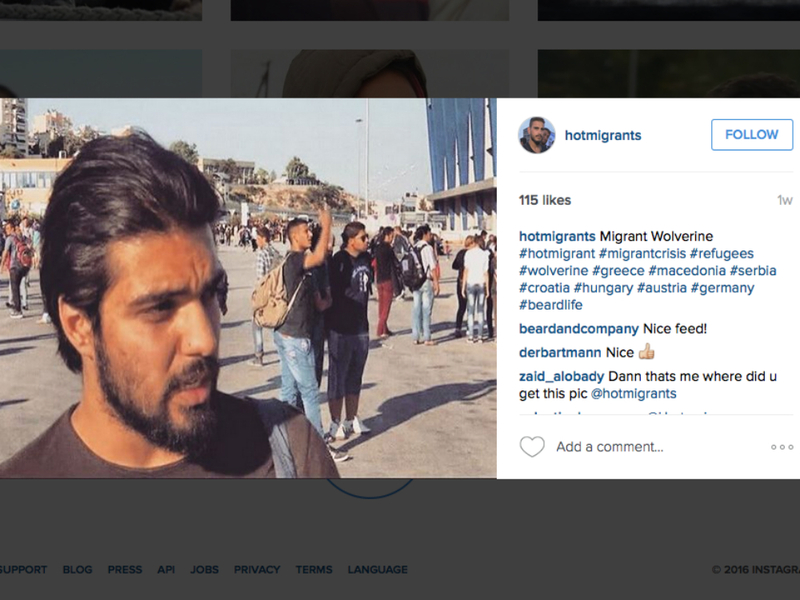 It even goes so far as to dub one bearded refugee ‘Migrant Wolverine’ before adding the hashtags: #hotmigrant and #beardlife. The captions are offensive enough but the hashtags really do go one step further, their choice including #greatsmile, #hotmigrant, #beardgoals and #beardonfleek.